Gift giving can be an incredibly difficult task, especially when the occasion marks a big milestone in a person's life. With a number of my closest friends' 18th birthdays coming up in the next few months, the search for extra special gifts has begun. I came across GreaterSkies' star maps and they tick all the right boxes so of course, I had to share my review! 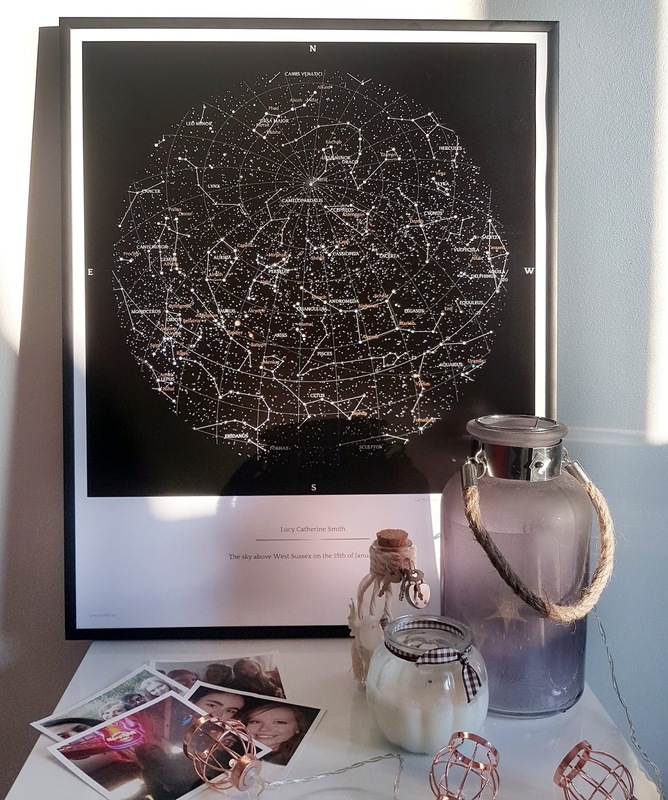 GreaterSkies claims that their personalised star maps are 'the perfect gift for all your special moments' and I couldn't agree more! A framed, high-quality print of the alignment of the stars above a particular place at a certain time; these star maps capture a significant moment in your life. The team at GreaterSkies kindly sent myself and Lucy each a star map to review. We both opted for the framed, Classic Star Map in black. Personally, I think the frame really makes the map look that extra bit classy and special, however, it is optional and you can purchase your own frame if you wish. 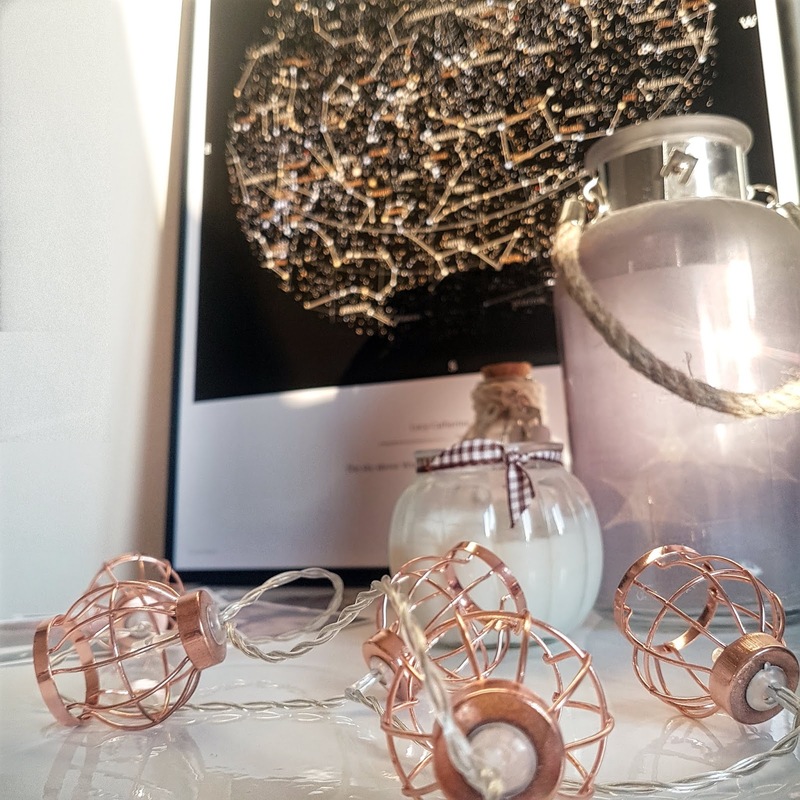 In person, the star map is just as gorgeous as it looks on the website and it makes a wonderful decor piece with that extra bit of sentimental value. 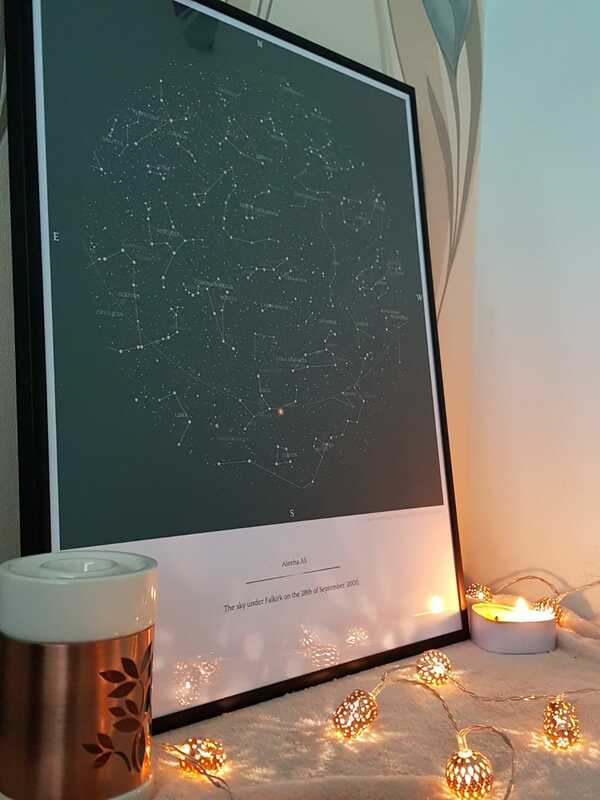 Alternatively, you can also purchase the star map as an instant download and print it at home for a cheaper price, but without the high quality, photographic paper. Pick the time, date and where you want to see the stars from. You can add constellations and star names if you wish then all that's left to do is to do add a title and your very own personal message. Once you're happy with the preview, place your order and you're all done! You can either opt for the Classic Star Map or the Night Sky Star Map. Both are equally as beautiful and are available in a selection of different colours from black to a gorgeous arctic blue shade. You then have a choice between a 40x50cm map or a 50x70cm map that you can also frame. The team at GreaterSkies kindly sent myself and Lucy each a star map to review. We both opted for the framed, Classic Star Map in black. Personally, I think the frame really makes the map look that extra bit classy and special, however, it is optional and you can purchase your own frame if you wish. 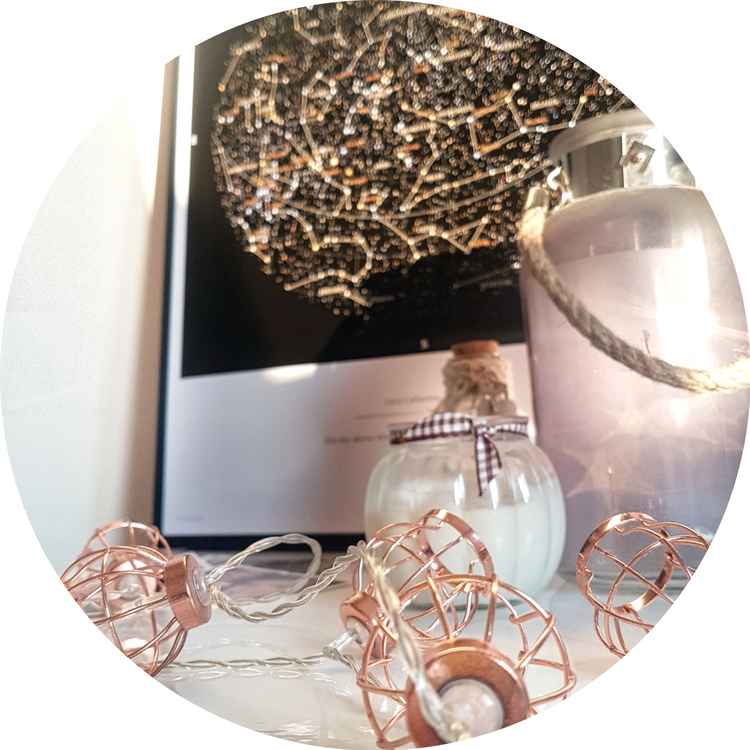 In person, the star map is just as gorgeous as it looks on the website and it makes a wonderful decor piece with a sentimental value. Who would you give a star map to? 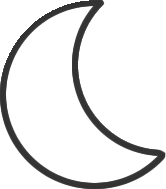 Huge thanks to GreaterSkies for making this post possible.